He is the only home I know. As I sit to write this blog I am having a much-needed break at the Westmoorland Farm Shop services on my way to a conference centre in Derbyshire. It’s been a morning of productive meetings in Glasgow, and I’m making good time, but even so, a 30 minute stop for a cup of tea, a piece of steak pie, and a little bit of ‘relaxing’ Japanese study was much needed. I’ve been thinking on my drive about the physical process of packing that I am presently in. The clothes that are bagged up ready to go to the charity shop. The furniture that is being measured up for the new house. The organisation. The process of throwing things out and asking what you really don’t need to take with you on this journey to somewhere new. And that idea of leaving things behind, and taking with you only what you need has been resonating with me these last few days. Because I feel a bit nomadic at the moment. I will leave one house, to go to Japan, to come back to a new house. But more than that, I will leave one house, to begin a new part of my journey that will leave me a bit nomadic until God makes some of these next steps a bit clearer. So that’s exciting. 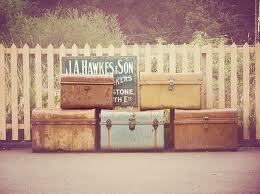 But it also leaves me contemplating what I’m taking with me and what I’m leaving behind. In more than a physical sense. I led worship at a women’s meeting last night, and it was a precious, precious time in safe fellowship. And the Holy Spirit was working and speaking in people’s lives, and this thought kept coming back to me. He is the only home I need. I want to abide in Him. But in order to abide in Him, there are certain things I can’t bring with me on this journey. I can’t bring my regrets and my bad memories of what has gone before. I have to repent, move forward, and trust that Jesus has paid for them through the sacrifice only He could make. I can’t bring unforgiveness with me. I leave God to judge and vindicate and trust my heart to Him alone. I can’t take a love of physical possessions. Because my identity and my riches are found somewhere else. I can’t bring my pride, I can’t bring my shame and I can’t bring my self reliance. Because if Jesus is truly my home, these are the things that I leave behind. And I keep leaving them at every step, shedding the baggage of life’s journey to walk and run in the freedom that He calls me to. So what can I take? And this is what I love. Because Jesus doesn’t call me to leave things behind without restoring and redeeming to a far greater reality. Because I walk this journey with Him, in Him and for Him. And I take with me His equipping, His call and His purpose. I walk forward carrying the gifts and fruit that He has given me, holding a precious message that He has planted in me, speaking a testimony that He has redeemed for me. I take the friendships forged in fire that stand through life’s storms and make up the beautiful church that is His bride and His body. I take the lessons learned in the refiner’s fire, and the fruit produced and cultivated in the valley places and the story of hope. I take far more than I leave behind. But it’s all lighter somehow. Because He is my home. And so packing, and purging and sorting is a healthy thing to do physically. It leaves you taking only what is valuable, and laughing at what should have been thrown away long ago, and thinking about the future with excitemnt. But the spiritual reality is the same. Because I want to run and dance in the path of His commands, and His forgiveness and the life He gives, because He has made my heart free. ← 10 steps to prepare for a busy week.